Whether you are having a Christmas party with family and friends or an office party with co-workers, here's a list of games that will add some fun to your celebration. 1. Fill the Christmas stocking. Divide into teams and have the participants race to fill their team's hanging stocking with a spoonful of wrapped candy. 5. Photo booth. Provide silly props and backdrops for guests to use to get silly in front of a photographer (keep in mind it doesn't have to be a professional). 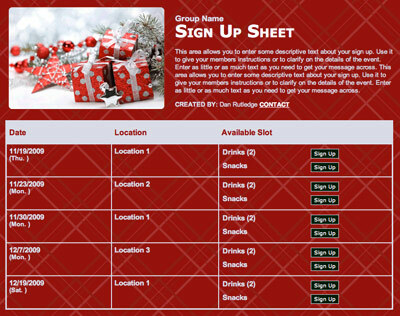 Need a better way to organize you holiday party? Save time by using SignUpGenius! Get started! 16. Holiday ABC's. Give each child or team a piece of paper with the alphabet written vertically from A to Z. Have them write a holiday word that starts with each letter. The first one to complete the list wins. 17. The night before Christmas. Give each person the name of some part of Santa Claus' outfit—sleigh, reindeer, belly, etc. As the host reads “The Night Before Christmas”, each participant listens for his word and when he hears it, he stands up, turns around and sits down. When the host mentions Santa Claus, everyone changes places and participants try to get a seat. The one left out continues the story until it is complete. 18. Name that carol. Make a list of lyrics from songs that only provides 3-4 words from each song (not the title). The person who names all - or the most - songs in a certain amount of time wins. Organize the perfect holiday party or potluck... FREE! Find out how easy it really is! 25. Christmas tie game. Use those old Christmas or ugly ties to have some fun. Give each team of two a tie. Using only one hand one person must tie his partner's tie. First one done wins. I loved the ideas! Great games for the party. IT WAS GREAT!! Great ideas I had a GREAT party!! 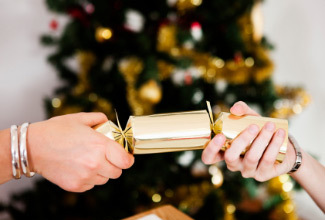 We use the holiday gift exchange app to add some excitement and laughs to our gift exchange. It's so easy - no prep required. Each participants brings a gift and goes home with a gift. The gifts are traded, shuffled, and passed. You'll never know what gift you will end up with until the very end. I loved all these games. The kids LOVED these games!! thank you!you helped me with my speech for school! i really like this . thank you ! Wow!!!!! I love you for this. You just saved a life with this. Thanks a bunches. These are really great ideas! I cant wait for Christmas 2015! this ideas are amazing! i've learned something from it. Can someone help me find Christmas Games for the Summer. We celebrate Christmas in the Summer and also, it goes to a good cause. 20% of all proceeds go to Toys For Tots. In participation with the Mayor and Police Department. Thanks for helping me with the games! Awesome games , I will use these games tomorrow and I mean it! I hope you party planners use these games too! These are just terrific ideas! Thank you! Great list of games, thank you. Sounds great ! using these holiday ideas right now for my party tonight!! thanks again for the help. JENNA. Only 8 days till Christmas and I'm even doing candy wreaths!!! These games seem interesting but I need ones which can be played with props from daily life. But still I'll try them out with my family. Even if they are not that easy they seem interesting. We always have Christmas at our home. I bought a christmas bingo game and gifts which I put the gifts in Christmas bags. I make sure everyone gets at least two gifts. The family which includes my grandchildren and great grandchildren. They always look forward to spending Christmas with grandma and grandpa! I came up with a party game for my christmas party. I made a list of things or people relating to Christmas. When they come into the party I will put a sticker on their back with something written on it. Throughout the party they can asks other guests yes or no questions to try to figure out who/what they are. Some things I came up with were Frosty, baby Jesus, Christmas Tree, Star, Santa, ornament, christmas cookie, etc. amazing! i am going to do a family christmas party with some of these ideas, im sure they will all love it! 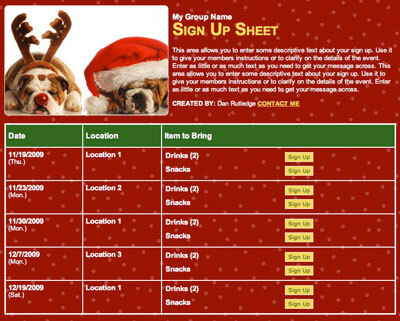 It helped me plan fun Christmas games for a Christmas party. Great, me and my friend got together and changed the game to suit 2 players, some of these games gave me ideas for other elated games that would suit the day and age better! keep it up! Every year I have a Christmas party for all my girlfriends. 1 year I wrapped a big box like a gift and cut a hole on 1 end with a flap of paper to cover the hole.On the bottom of the box I tapped 12 small items that are related to Christmas ex. name tag, piece of ribbon, small pine cone etc. Each person has 5 min. to put their hand inside the box and feel for the 12 items. When their 5 mins. is up they can begin to make their list. The 1 with the most correct items wins! Everyone really liked that game and no one got them all. I usually do the games on birthdays. This will be my first time doing games in Christmas. SO EXCITED!!! Here's a game I've played at an adult Christmas party for our church group. Write the word CHRISTMAS vertically on a piece of paper & write a name of a Bible person beside the letter. I also like getting ideas. I am in charge of our church Christmas banquet which we have about 150 people attend. Last yr we did the decorating of the Christmas tree. They walked around the room (we had about 8 trees) and I had them vote on the best decorated tree. Great success. I need another idea for participation for entertainment like this. Would love to have some ideas for difficult letters in the A-Z alphabet challenge. Help! Fun game for adults & kids.. Host/hostess wraps gifts for the amount of people attending... Small items. tooth paste.brush small toys, mirrors .scotch tape.etc..Dollar store is fine.. All get a gift. Host reads :Night b/4 Christmas & everytime :the:is mentioned a gift is passed...At the end keep or trade your gift..
Give the first letter of each word in the title of a Christmas Carol then let the guest write the answer, when checking the list instead of giving the title they have to sing the first line. Every one has heard the poem "The Night Before Christmas" Quiz the guest on how well they know it, like "Did Santa Smoke? "..................it's a fun game really. hank you for that"s amizing games now i so exited to say to my teacher thank!! This list of Christmas games is Amazing! I am the organizer of my annual family Christmas party and I am only 13 years old! I can guarantee that this years party will be the best one yet! Great ideas. It helps me a lot.. Thank you very much. Thanks! The ideas are simple but will be fun! Thanks so much! I was totally stressing over my holiday party! Now I have nothing else to worry about! THUMBS UP! I am in charge of the games at my work Christmas party and for the life of me, I could not think of any. This is a great source. Thank-you very much. Now I have nine great games that will be sure to keep my coworkers entertained! so these games will be great. Awesome Site. Thanks for the great ideas , i'll be sure and use a couple of them at my office party. Amazing games :) So helpful for me to find the new games. This is gr8 for any party thx alot?? I was doing this for a 4-H project because I'm the rec. coordinator and the list was very helpful! Thank you so much! I can't wait to play this ideas on my party!.. Reading all the ideas makes me feel crazy this is wonderful...snowman wrapped with tissue paper is funny :) I will be hosting Christmas party this Dec.15,2013. Thanks for the ideas! Wow! this is my first Christmas party, and I am 13 years old, I will definitely be using ALOT of these ideas, and because im 13 proves that these games are fu for people of all ages! thatnk you so much whoever created this website! it was very useful and im so happy and grateful that someone created it! Merry Christmas everyone!!! THANK YOU FOR MAKEING THIS WEBSITE!!!!!!!!!!!!!!!! These helped my party rock. WOW! Your site is great. I am the big party planner in my group of friends. Just visualizing the snowman wrapping contest has got me laughing. Cant wait to use that game and some more from your site. this very help with my partys alot!!!!!!!!! These ideas are great! I will be using one or more at our family party this year! Thanks for the great tips! wow...the games are fabulous. The list has made my work simpler, thank you. Thanks, Misty! Hope you find it useful! I host a lot of parties for all holidays and this list is fantastic! Thank you!